"To protect the sheep, you must first catch the fox and it takes a fox to catch a fox"--Hudson Flynt. Newt Gingrich, GOP presidential 2012 contender, proves that he is that fox to outfox Obama's bid for reelection according to Hudson Flynt of Reconquer America an organization sponsored by Monster Marketers. Commandment #3: Life and games both have rules. Learn them well and play to win! 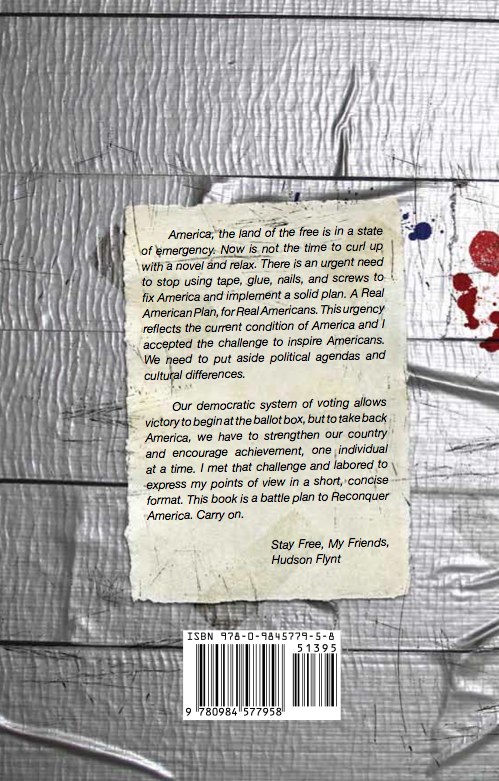 Hudson Flynt, Author of Reconquer America, an inspirational battle plan published by Monster Marketers, endorses presidential hopeful Newt Gingrich. Georgia is the biggest prize with 76 delegates in the 10 state Super Tuesday grab bag sought by the four remaining GOP candidates and Flynt believes that Gingrich's cunning intellect will garner much needed momentum. Under Newt’s leadership, Congress passed the first balanced budget in a generation, leading to the repayment of over $400 billion in debt. Congress also cut taxes for the first time in sixteen years and reformed welfare, leading to over sixty percent of welfare recipients either getting a job or going to school. Flynt believes this is the kind of experienced leadership to take this country from 2013 and beyond. “Make no mistake, Newt Gingrich is a fox and that's exactly who, what we need. This will be a battle for the fundamentals of this country. In order to win in November, we need a crafty son-of-a-gun with a cunning mind of the Alpha Fox to lead the pack." Flynt continues, "Besides, like him or not, Newt Gingrich is not coming over to dinner." According to Hudson Flynt, Newt seems to know the importance of a free Cuba seeing as Cuban oligarchy financed the battle of Yorktown in 1781 with 500,000 pounds of gold, silver and precious gems under the governorship of Bernardo Galvez. The photo (right) taken in the famed Versailles restaurant in Little Havana (Miami, Florida) introducing himself to the Cuban community suggesting that he will promote an Arab Spring for Cuban-Americans. Hudson believes that this is just one example of Gingrich's craftiness as the next leader of the free world. Hudson Fynt believes that the former Speaker of the House is the perfect guy for life after election and endorses him for GOP nomination. Flynt closes, "Get my battle plan of ideas to reconquer America, one individual at a time."